Create a beautiful sight in your bedroom with the addition of our Amish Nadine Bed. This Amish handcrafted masterpiece will quickly become the centerpiece in your bedroom. If you are looking to renovate your bedroom or add to it, this contemporary style bed can help you out! Have this solid wood bed made in oak, brown maple, or quarter sawn white oak wood. It is available in a full, queen, or king size for your convenience. 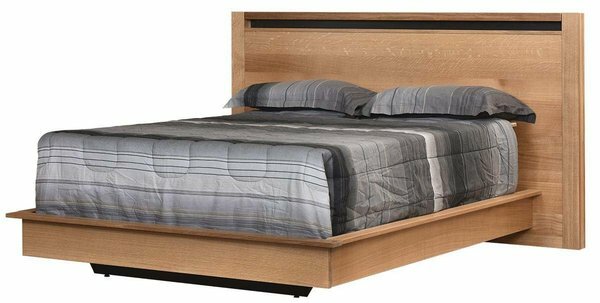 If you would like a different bed size or wood type, please call us at 866-272-6773 and we will work with our Amish woodworkers to try our best to accompany your needs. Thank you for choosing DutchCrafters Amish Furniture for all of your bedroom furniture needs!